I wanted to take some time to reflect on how blessed I feel to have had the opportunity to go on vacation. The five of us in our family had some much needed “together time,” and we were able to connect and catch up with a lot of our extended family and friends. I’m grateful that I work in an environment that values families and allows me to take off of work to recharge my batteries. I won’t bore you with every detail, but I thought I’d share some of the highlights of our trip. So far, we have traveled 2000 miles, and by the time my family drives home at the end of the week (aided by my wife’s parents) we will have logged more than 3100 miles on the Odyssey. By the way, the Odyssey drove great with no problems! As I mentioned before, our family loves road trips and this was no exception. The first night we had the opportunity to stay with Anne's brother's family in Little Rock. Their boys are growing up fast! 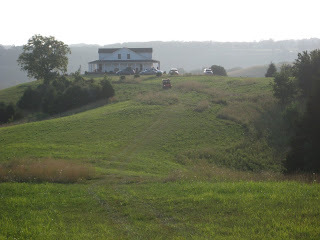 Then it was on to Bardstown KY. My sister's in-laws were very gracious and hosted us in their "hill house." We met up with my sister's family and her in-laws, my parents, some friends from Colorado, and Anne's parents came in later in the week. The views from the house are incredible! It's is such a great location and the Kentucky hills are really beautiful. 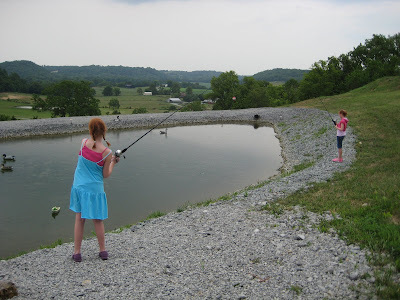 While we were at the house, the girls enjoyed fishing for the first time. There is an amphitheater in Bardstown where we saw "Stephen Foster-the musical". Stephen Foster was a famous songwriter in the 19th century who wrote "My Old Kentucky Home", "Suwanee River", "Oh Susanna" and a bunch of other songs that are a part of our heritage. 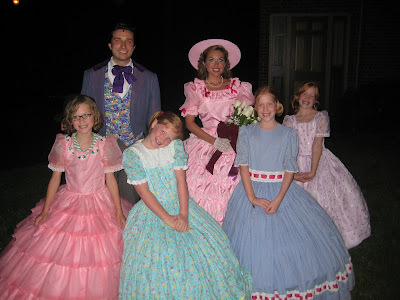 The girls dressed up in period costumes and got a picture with the performers. 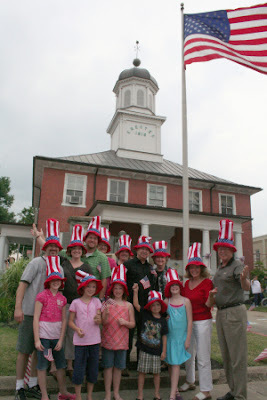 We went to a July 4th parade in Springfield, KY and made quite a splash with our fashionable hats. In fact, this picture ended up in the local paper. 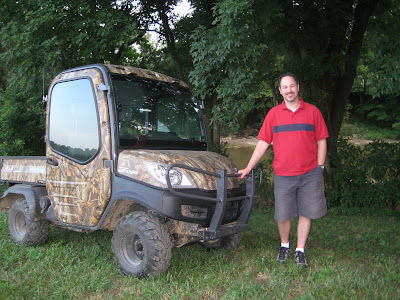 I had fun driving an RTV all over the hills!